Warwick County is an extinct county in Virginia. It was created as Warwick River Shire, one of eight created in the Virginia Colony in 1634. 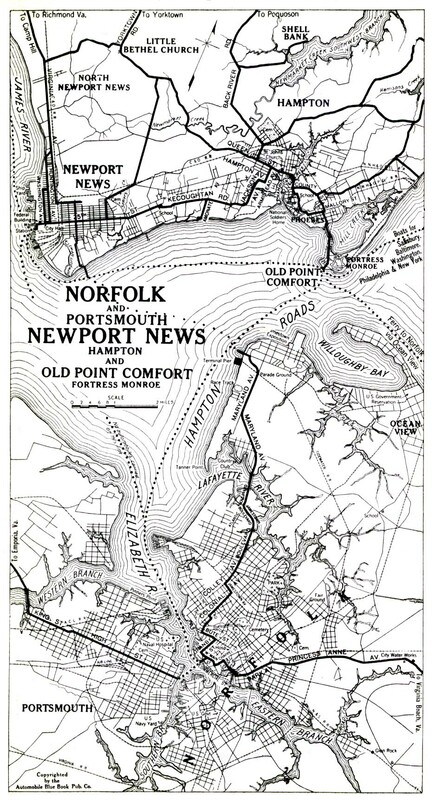 Located on the Virginia Peninsula on the northern bank of the James River between Hampton Roads and Jamestown, the area consisted primarily of farms and small unincorporated towns until the arrival of the Peninsula Extension of the Chesapeake and Ohio Railway in 1881 and development led by industrialist Collis P. Huntington. The links directory provides suggestions for a variety of websites to assist in your family history and genealogy research. Harry Lee H. Crum Jr.
Mary Bryant, Douglas Petty & Willis A. Shell Jr.